Baby’s delicate skin has a protective natural coating of moisturising oils that cover the outer layer’s of skin. When these oils are washed away, the skin becomes vulnerable to rash, irritation and dryness. Johnson’s baby soap is specially made for babies. The design of the shape offers an easy grip in hands. 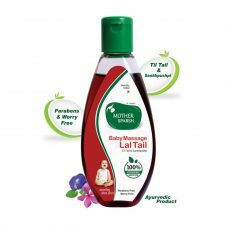 It has 1/4th of baby lotion along with Vitamin E which helps in preserving the moisture on baby’s skin. The creamy, rich lather cleans and helps to keep the baby skin soft, supple and smooth. No presence of phthalates or parabens. It is tested by expert dermatologists. Moms can trust Johnson’s since it is always gentle, mild and effective. With the soothing touch of mom and the warm water, bathing time is a great time to bond with your baby. 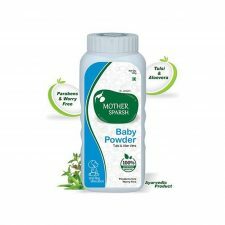 It cleanses gently without irritating the baby’s sensitive skin. Lather Johnson’s Baby Soap using your hands and then apply it to baby’s skin. Rub gently and then rinse off using water. Sodium palmate, Titanium dioxide, Sodium palmkernelate, Disodium EDTA, Dimethicone 200/50Glycerin, Mineral oil, Water, Fragrance, C12- C15 Alkyl benzoate, Stearoxytrimethylsilane, Tocopheryl acetate, Stearyl alcohol, Hydrolyzed milk protein. Johnson’s brand combines recent scientific developments along with their experience of more than 100 years. The products come with the seal of Triple Baby Protection. 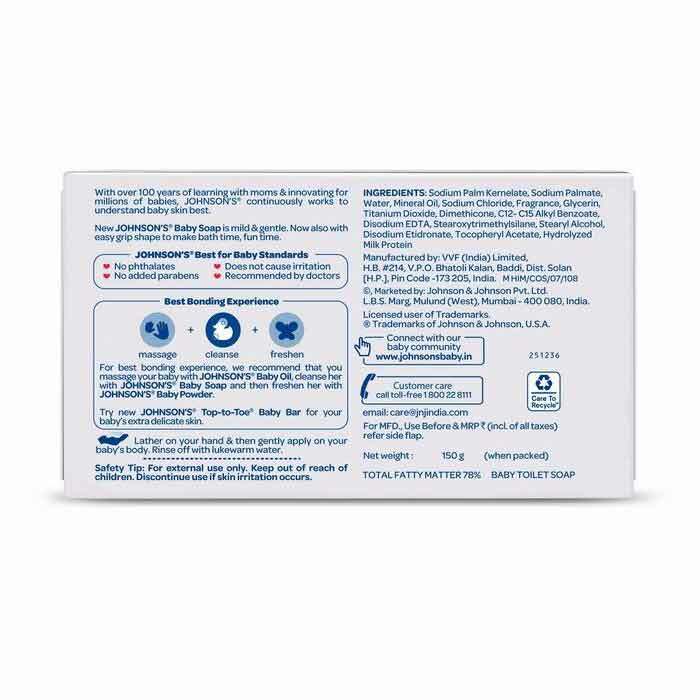 It signifies that Johnson’s baby products are safe, effective and mild for use on baby’s delicate skin and hair. A mother’s love is the trusted test for identifying mildness. Mother’s want only the mildest and purest to touch her baby’s skin. Their baby product range is mild, clinically proven for the first bath of newborn’s. So what touches baby is as pure as mothers love and as mild as mothers touch. Normal soap bars are for adults. Baby’s need only specially made baby soap’s to protect their sensitive skin. The brand understands that a new born’s skin has a natural protective coating of moisturizing oils that cover their skin’s outer layer. Normal soaps wash away those natural oil and baby’s skin becomes vulnerable to irritation, rashes and dryness. 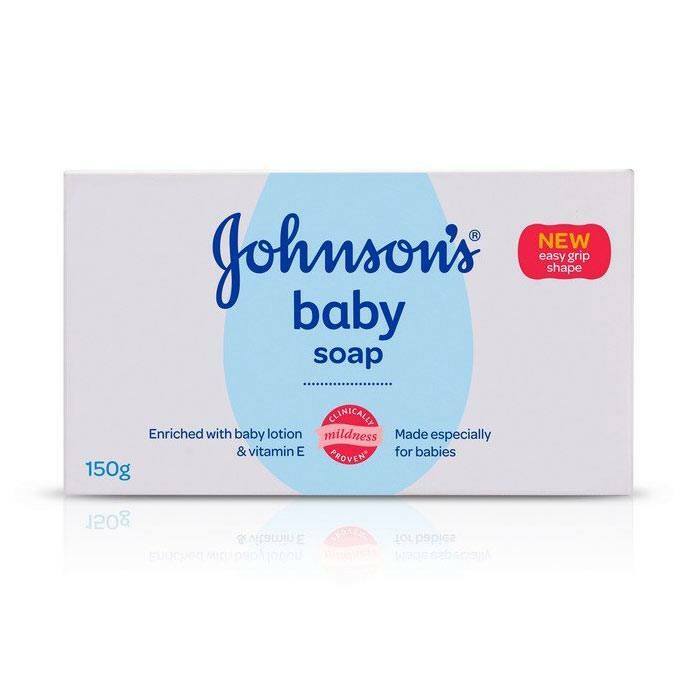 Johnson’s baby soap is specially enriched with 1/4th moisturizing baby lotion and Vitamin E. It preserves the moisture and makes baby’s skin smooth and soft. 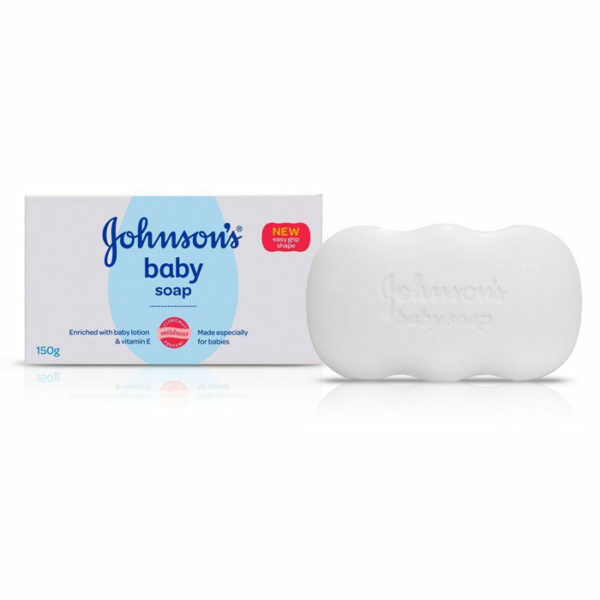 Additionally, Johnson’s Baby Soap gives a creamy rich lather which gently cleanses baby’s sensitive skin. Also rinses easily. It also helps to maintain healthy skin. It is dermatologist tested, allergy tested. The brand also claims that every product passes a 5 level safety and quality assurance process.